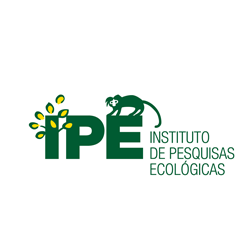 IPE, our partner organization in this region of Brazil, had begun to work in FLR since 1997, to make the migration such as the black lion tamarin possible, as well as all others that live in this habitat. Jaguars, ocelots and tapirs served as the ecological detectives to indicate where forest corridors were to be planted and that demanded IPE researchers to follow and study these species appropriately for many years. In 2014, WeForest joined this successful integrated program, as it has many components that are important for conservation to succeed: protection of remnants of original forests, involvement of local communities, especially the very poor who now produce seedlings of native tree species to be planted in the forest corridor, and more recently the assessment that the corridor is being used by many animal species. More info here (for English click here).